I took a jaunt out to my old stomping grounds for this Edible Finds on the Garage Cafe in Notus for the spring edition of Edible Idaho. If you find yourself cutting through the heart of Canyon County on Highway 20-26, wheel into the Garage Cafe in Notus. 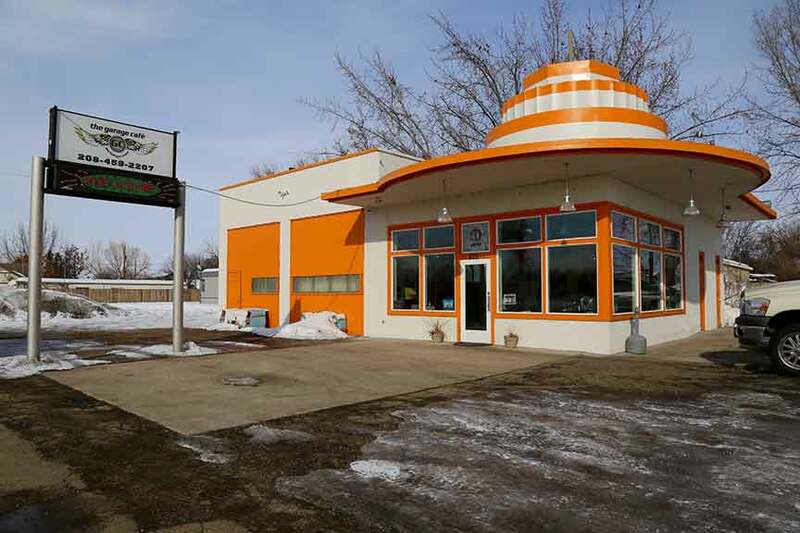 Aptly named for the gas and service station that was a fixture in this small town going back to the 40’s, Heather and Scott Zimmerman had been eyeing the empty building for some time, wishing someone would make the landmark great again. When the opportunity arouse, that someone became them—despite not having any former experience owning or running a restaurant. “It has such personality and character,” says Heather. “I love the history of it and the stories customers share of growing up working on their cars in the building.” They opened the doors to the 50 seat joint in May of 2010. The menu is exactly what you’d expect to find in the middle of hardworking agricultural country. Breakfast is served all day and I’d wager that no one ever leaves hungry. The chicken fried steak, served with gravy, eggs, hash browns and toast, is one of their signature dishes. In keeping with the automotive theme, there’s the El Camino, Power Wagon and Tool Box Omelets, all made with six eggs, although half orders are available. There’s also the Lugnuts: housemade biscuits covered with thick, sausage gravy. The lunch and dinner menu also offers a hearty array of choices. 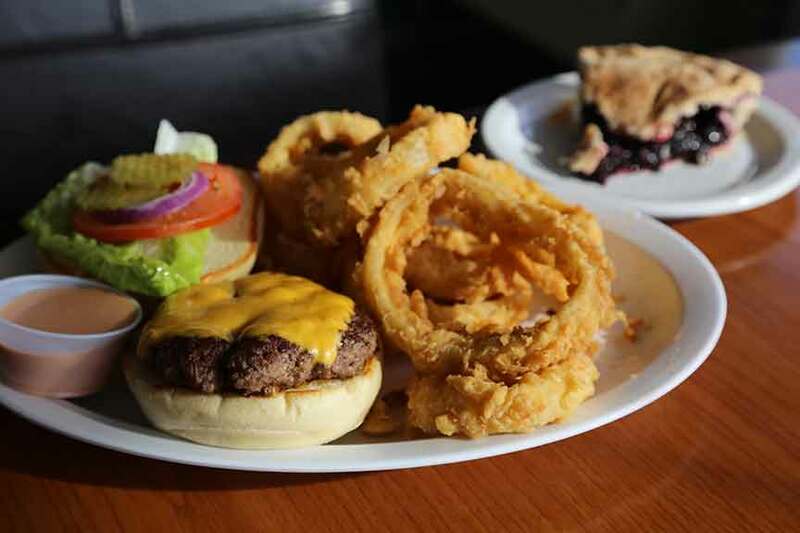 The burgers are made from beef from Owyhee Meats in Homedale and the finger steaks are a crowd favorite. A range of sandwiches and a couple salads round out the menu. On Friday nights, the Zimmerman’s cook up a weekly prime rib dinner. 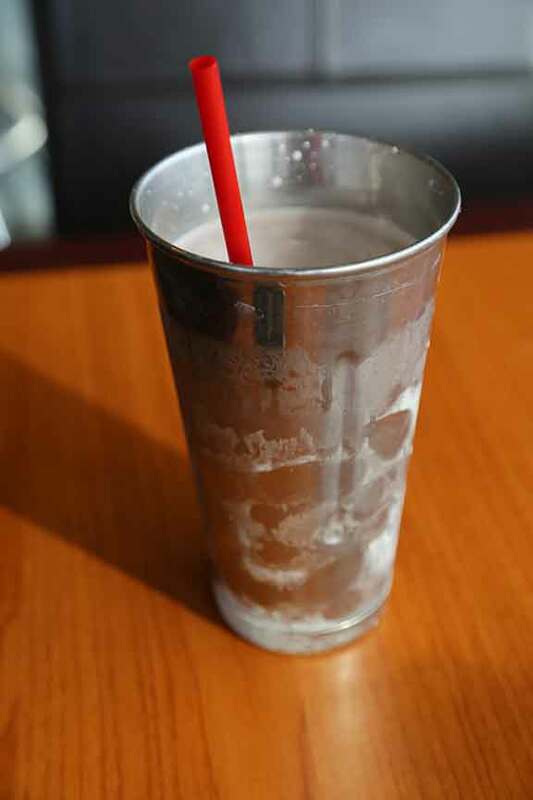 For those who really have a big appetite, and want to secure a place on the Wall of Fame to commemorate it, there’s the Hemi Challenge: two pounds of fresh ground beef on a 8″ bun with all the fixings accompanied by two pounds of fries and a hand-scooped milkshake—all to be polished off within one hour. Many try but less than 20 have succeeded. If you still manage to have room for dessert, try the cinnamon rolls that are made in house or the pies and other baked goods supplied by Caldwell’s Sweet Spot bakery. Sunday – Thursday 7 a.m.- 8p.m. Friday & Saturday open until 9 p.m.